Hamburg, 15 November 2006 – The South African navy has commissioned Germanischer Lloyd (GL) with the classification of its three Type 209 submarines. The order includes the inspection of the construction plans as well as annual technical safety checks. This makes Germanischer Lloyd the first classification society worldwide to be entrusted with the technical support of military submarines. The conventional class 209 submarines of type 1400 MOD are part of a comprehensive programme to modernise the South African navy. The vessels were constructed by the German Submarine Consortium, consisting of Howaldtswerke Deutsche Werft AG (HDW), Kiel, Nordseewerke GmbH (NSWE), Emden, and MAN Ferrostaal AG, Essen. The first submarine (S101) constructed in Kiel was delivered in March 2006. The second vessel is just about to go into service, while the third is still under construction. The state-of-the-art diesel-electric submarines are approx. 62 m in length. Germanischer Lloyd will check the hull design drawings, the engine and electrical equipment on the basis of in-house construction regulations for military vessels. 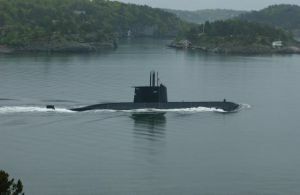 In February 2005, the regulations for classifying navy vessels were expanded for military submarines. GL already published guidelines for the classification and construction of submarines back in the seventies. In drafting the up-dated procedures, GL also drew upon experience gained in the course of rendering technical support and advisory services for 25 navies over the past thirty years. In classifying newly constructed submarines, GL’s services include the inspection of construction drawings, materials, joining, drive engineering and systems technology, as well as supervision of construction and testing. GL also tests and certifies fuel cells and other AIP systems (Air Independent Propulsion Systems). The South African submarines will be given the classification 100 N 6 Submarine. The drives will be classified as MC U. The first technical inspections are scheduled for the spring of 2007. After that the 6-year classification period will commence. The inspections by technical experts, which are standard for international merchant ships, are a tried and tested means of identifying and remedying safety-relevant defects. In the past three decades, GL has provided technical support for more than 300 marine vessels both in Germany and abroad. 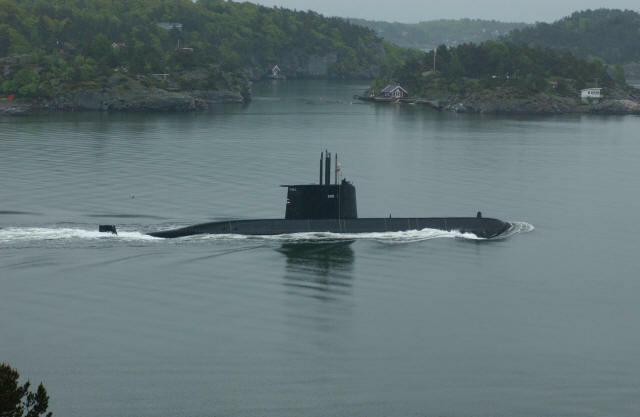 German shipyards are leaders in the field of conventional submarine construction. Already in the middle of the 19th century first submarines were developed. Today, German constructions belong to the safest and best conventional submarines worldwide. The development of the first working AIP systems in the eighties was a revolution. Thus, the danger to be discovered by hostile forces could be minimised considerably. Energy without the use of external air can be extracted from fuel cells. Here, the reaction of hydrogen and oxygen is used to gain electrical direct current. Fuel cells are embedded in hybrid-electric power plants, consisting of fuel cells, diesel generators and accumulators. The German submarine classes U212A and U214 are the first vessels ever to have used such a system. Generally, modern German submarines stand out for their minor structure-borne and airborne sounds, a small number of revolutions, a small construction volume, small weight, a high level of shock resistance and optimised hydrodynamics.